Rachel Carter's debut novel, So Close to You, is a delightful beginning to an upcoming series. Readers follow high school senior Lydia through time and space to the 1940's, where she finds trouble and a yearning for truth. The Montauk Project is a new subject for me and I'm particularly happy that it veers from what's usually written about in young adult novels. Sure time travel isn't new on the scene, but Carter has dusted off the edges and given the concept a new look. As an aspiring journalist, Lydia loves digging for the truth, so it's no surprise when she jumps at the opportunity to investigate the usually impenetrable secret base of The Montauk Project. After years of listening to the conspiracies from her grandfather Lydia feels a sense of obligation to do everything she can to put the rumors to rest. Lydia is somewhat of a conundrum. She gets stuck in the past for a good part of the novel and resists leaving all for the sake of her family. One may say that's heroic and selfless, but at times she came across as selfish, never taking into account the warnings of someone more qualified to understand the technicalities of time travel. I'd say she sealed her fate the second she decided to be a hero and take history into her own hands. I was scared that she would make the wrong choices and ruin her life in her own time, but I can't fault her for taking risks. The blast into the past gives readers a nice taste of life during a time of war. It helps the novel stand out because time travel usually focuses more on the scientific facts while Carter focuses more on historical facts. The romance has a slow build up, but once it gets going it simmers right until the end. I have much hope for the trilogy's future novels. Seriously, I can't imagine what may or may not happen next and the curiosity is killing me. 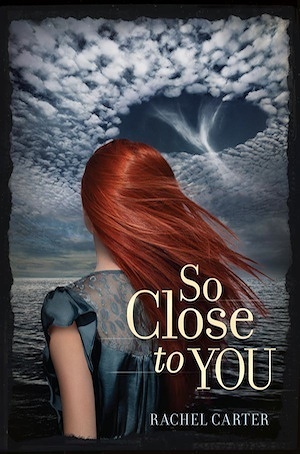 So Close to You will please science fiction fans and throw mystery fans into a frenzy with a startling ending! Read my interview with Rachel Carter!